Two new local eateries will open in downtown Henderson Saturday, bolstered by facade and start-up incentives from the Downtown Development Commission. Factoring in long-time landmark George’s (210 North Garnett St), the three downtown restaurants will boast an impressive resume chocked with big-name culinary influence. Cherie Pittman, owner and Executive Chef at Next Door Bistro (219 South Garnett St), has spent the last decade with Greensboro cafeteria chain Food Express. She joined them right out of culinary school as a manager and worked her way through the corporate ranks to become district manager, then head corporate chef – opening new locations and developing menus. “I’ll incorporate the lessons I learned in those ten years with my passion for healthier comfort foods,” shared Chef Pittman. She and her husband Daniel have recently lost a collective 100 pounds on the Keto diet, a low-carb health regimen using the method of Ketosis. Just around the corner Llew Sutton brings expertise from several of the Triangle’s top franchises to his Italian eatery called Uncle Llew’s Restaurant (130 West Montgomery Street). In addition to Mellow Mushroom and Raleigh Beer Garden, Llew spent six years opening new locations for Ruckus in Cary, Apex and Morrisville. He also worked with renowned regional entrepreneur Bobby Goodnight as Executive Chef for Sass. “We will offer flatbread pizzas, pastas, salads and sandwiches, in the beginning, but hope to extend our pizza offerings with the addition of a wood-fired pizza oven,” admits Sutton, whose wife Nikki will manage the front of house operations. 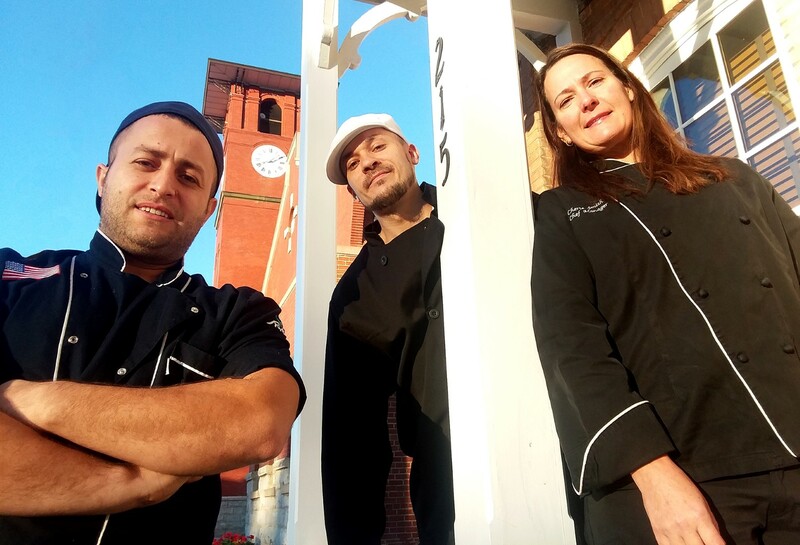 Riggan plans to help Sutton with the purchase of the pizza oven and is leading a collaborative marketing effort for the three restaurants as well, starting with a photo shoot for the three chefs at downtown’s Daniel Hendley Studios in early November. The third Chef became Executive Chef and partner at George’s of Henderson last Fall. Ali Onsoy worked as a chef at George’s Oxford location since 2007 prior to the Henderson move. Interestingly, he also served as a chef in the Turkish military before coming to the United States. Onsoy’s Turkish influences can be spotted in George’s menu specials and in the restaurant’s décor. 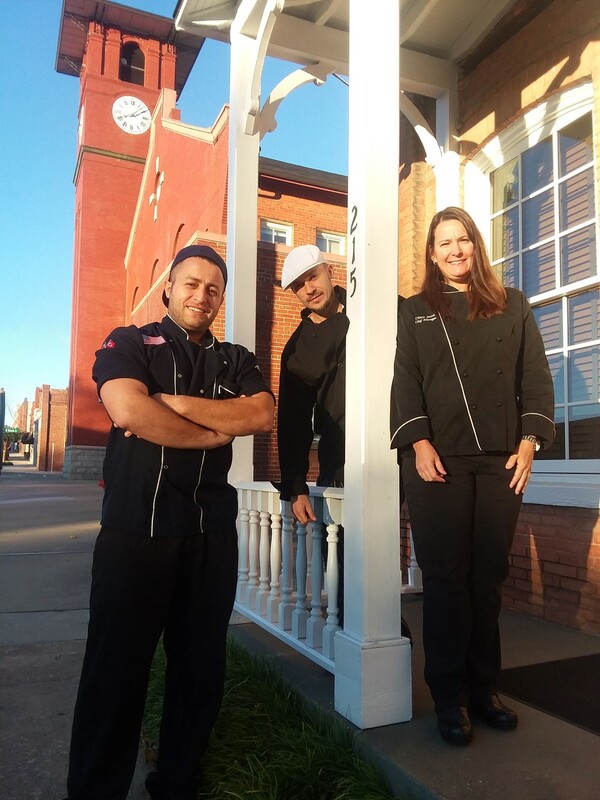 The three restaurants will be open Saturday in conjunction with the 16th Annual Show, Shine, Shag & Dine, downtown’s largest event, hosted by Nancy Wilson and Vance County’s Tourism and Development Authority.